Certified Nursing Assistants play a critical role on a health care team. They perform essential duties under the direction of a licensed nurse and other supervisory staff at hospitals and other health care facilities. Their constant contact with patients places them in a unique position as they may be the first to know when something goes awry. 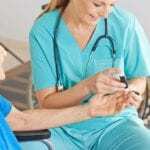 Specialized training and testing, as outlined by Nebraska’s Department of Health and Human Services, equip prospective nurse aides with the abilities to carry out their roles in medical institutions and long term care settings. In order to ensure easy access to training resources, the Department of Health has more than 25 approved training providers across the state. After completing training, graduates are eligible to take the state exam for inclusion on the state’s nurse aide registry. Nurse assistants who work in Medicare/Medicaid certified facilities and licensed nursing homes (not funded by Medicare or Medicaid) must successfully complete an approved nurse aide training program and competency evaluation. Training and evaluation prepare the nurse assistant for state licensure and placement on the registry. General nurse assistants, employed outside of these facilities, do not require placement on the registry prior to employment. However, if they meet the registry’s requirements, they can request inclusion. Employers must verify a nurse assistant’s status on the registry before hire. The state, in accordance with federal guidelines, gives nurse aides the option to work for the period of 120 days (4 months) while pursuing training. During that non-renewable grace period, the student nurse aide must successfully complete all training and testing. Military trained nurse assistants and foreign nurses may skip training and testing with written consent from the Department of Health. They must send a cover letter requesting direct placement on the registry along with supporting documentation and proof of Abuse In-service training. The department will review the request and determine whether the applicants needs to take the exam for placement on the registry. Nebraska has strict requirements pertaining to nursing assistants’ age, language, and criminal background. However, they are no educational requirements outside of the required nurse aide training. For this reason, it’s left up to training providers to stipulate the requirements for enrollment. While many institutions give preference to applicants with a high school diploma, many others will approve your application without a high school transcript if you pass a pre-enrollment evaluation. It is in your best interest to have a high school diploma if you plan to enroll in further studies to advance your career beyond that of a CNA. Nebraska’s state-accredited training providers must facilitate at least 75-instructional hours in their programs. Students spend at least 59 hours in the classroom/lab setting where experienced instructors cover topics that prepare them to provide patient care services according to the state’s standards. Key areas of study infection control, communication and interpersonal relationships, bedside care, safety and emergency, nursing principles, mental health, anatomy and physiology, death and dying. The clinical rotation, comprising of at least 16 hours of training, is another critical aspect of the curriculum. Students are afforded the opportunity to care for patients in an approved facility, which lets them put their skills to work. During the clinical rotation, students work in small teams under the supervision of a licensed nurse. Graduates of state-accredited programs are eligible to sit the state’s certification exam for placement on the registry. Keep in mind that the department will not approve an application for testing from graduates of non-accredited programs. Nebraska’s 75-hour training requirements mean students can complete training in as little as two weeks full-time or four weeks part-time. Some providers facilitate training beyond the required 75-hours, which can extend the duration of training. There are several nursing homes approved to provide nurse assistant training in Nebraska. Check with these facilities if you need options for free CNA training. Nursing homes offer comprehensive training programs with numerous opportunities to provide hands-on care. You’ll also benefit from completely free tuition, uniform, supplies, a stipend (in some homes), and the possibility of employment immediately following certification. The downside is the long waiting lists that fill up between programs. If you have the means to pay for training, you can choose from several standard to fast-track training options in the state. Paid programs, on average, cost $550 plus the cost of textbooks, uniform, supplies and state certification. You should also budget funds for immunization, TB test, criminal background check and registration fees. If you’re employed at a medical institution, you can ask your employer to sponsor training. You can file for a pro-rated reimbursement of your training and certification costs if you begin working as a CNA within 12 months of certification. After completing your nurse aide training, you can register for the state certification exam through Nebraska Health Care Learning Center or the Providence Health Care Institute. There are several testing centers across the state, so you can choose a location that is most convenient. The test comprises of a written and clinical skills exam. You have up to three attempts to pass both components of the evaluation for placement on the registry. If you pass the test, the testing center will forward your grades to the registry for entry. It can take up to 30 days after testing for your name to be included on the registry. However, you can use the 120-day provision to begin working while you wait for the update. Remember, passing the exam is only part the requirements for entry. You must be at least 16 years and pass a criminal background check for inclusion on the nurse aide registry. 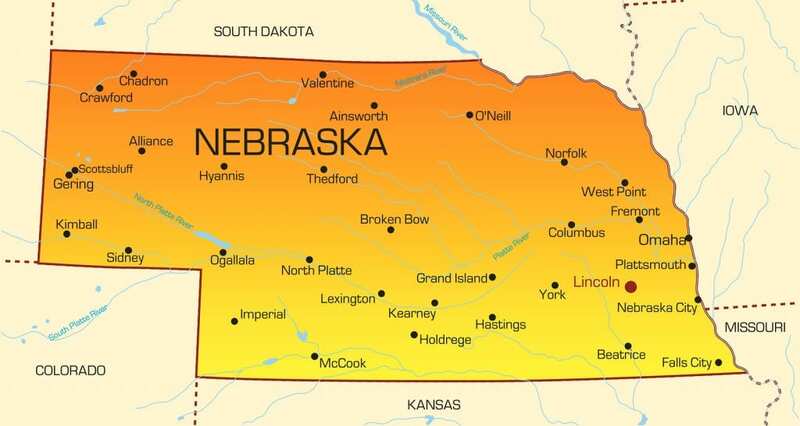 If you’re moving to Nebraska from another state, you must complete the application for endorsement and get on Nebraska’s registry before you’re eligible for employment. The process for endorsement takes approximately two weeks as long you provide all the necessary documents. Include copies of all relevant documents to expedite the process. Your status on the registry remains active as long as you maintain employment. If you cease working as a nurse aide for 24 months or more, your listing will lapse. There are no in-service or continuing education requirements for maintaining your active status.